As easy as it sounds, there still is a little trick to a successful plank. Ok…I don’t actually know any ancient Chinese secrets that will help you master that sort of planking…just ya know…work on your core. 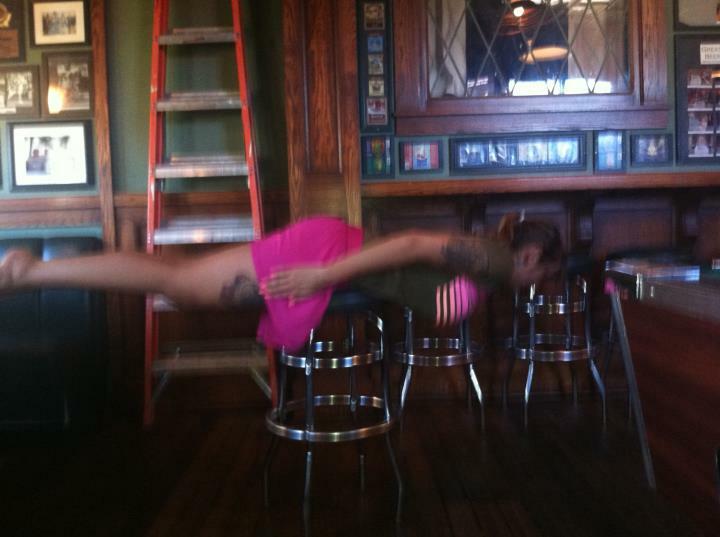 The kind of planking I want to talk about involves cooking your meat on a big piece of wood. Simple enough right? 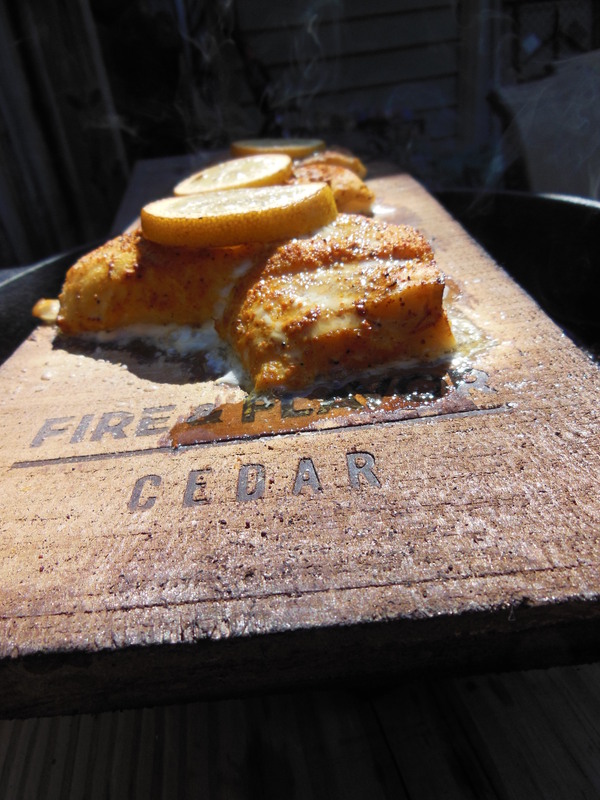 I used 3 small pieces of haddock on a cedar plank. I prefer using small pieces of fish because they cook faster, and fish is really prone to drying out when using this method. I seasoned mine with my favorite combo for seafood, lemon, salt, pepper, turmeric, garlic, and a touch of ginger. Some serious antioxidizing going on if you eat that combo right there! 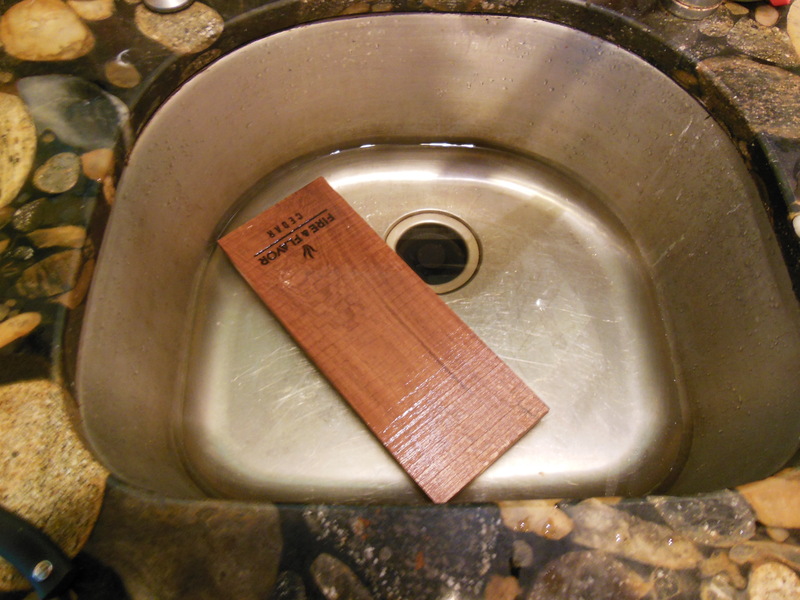 Soak your plank in salted water for at least an hour. 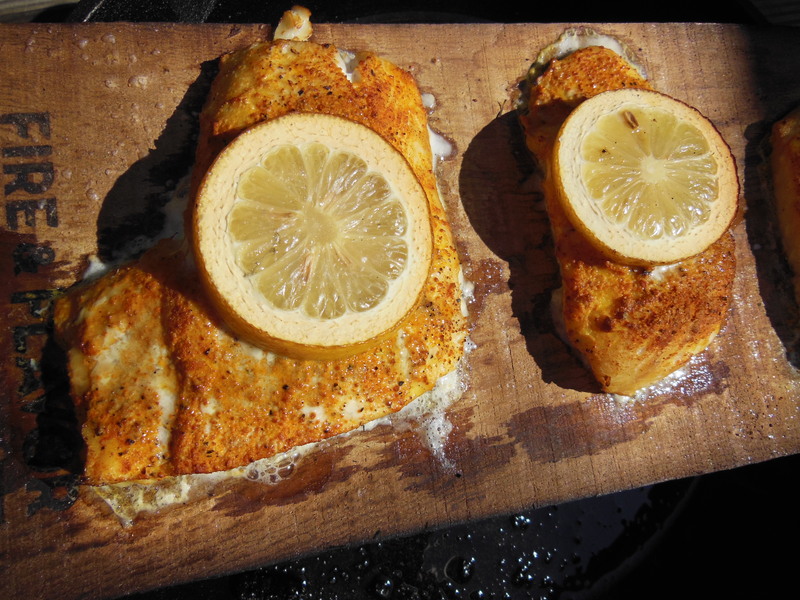 When your plank is ready start the grill up at medium heat and prep your fish. Do not put the fish on the plank just yet. Salt the side of the plank you plan to cook with, remember if you don’t salt your food then you don’t love the people you are cooking for. Next, put your plank cooking side down for 1-2 minutes on the grill. Flip over and add your fish. This helps to release a bit of that smoky cedar-y flavor. Cook until your fish just flakes apart with a fork and you are done. I know I did not really give you a recipe…but i am trying to teach you how to cook for yourself, instead of teaching you to be a recipe dependent robot. You can use any fish, and any spices you like. BLT salad though gets a little more specific. 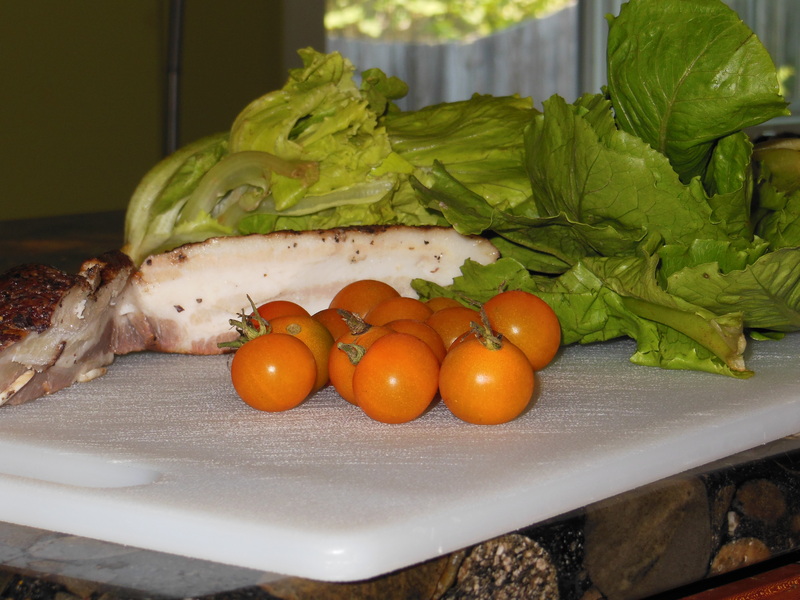 We got these incredible cherry tomatoes in the CSA this week! Other than my B, L, and T; I also used a tablespoon of balsamic vinegar and salt and pepper. I bet you are still waiting for your instructions on smoking this stuff huh? 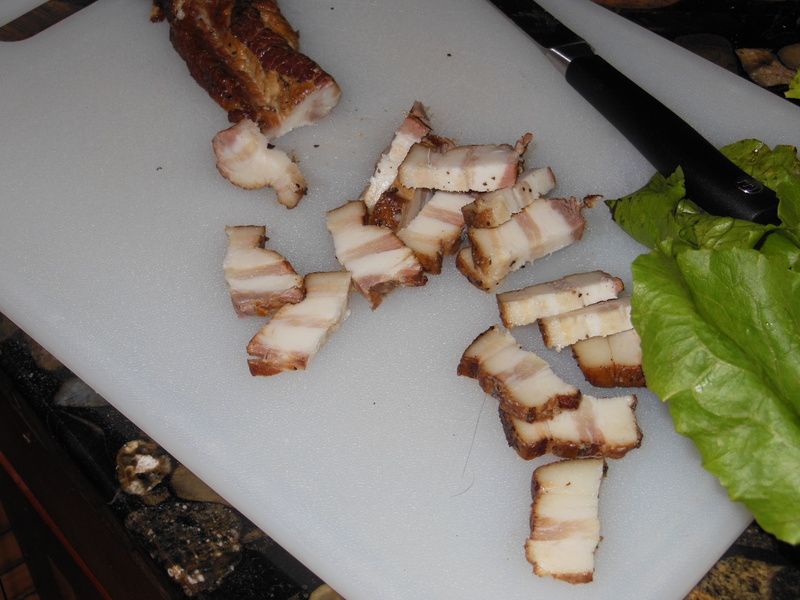 I started by chopping my slab bacon into little bite sized chunks, if you are using regular sliced bacon I suggest cooking it before cutting it up. 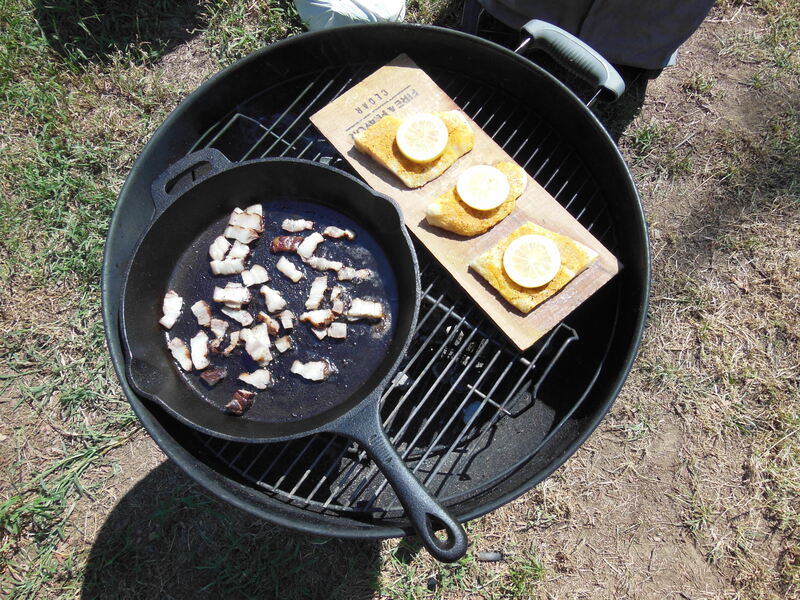 Cook your bacon until it is to your desired crunchification and carefully remove your cast iron skillet. It is going to be super-duper hot with spattering grease. Assemble your salad, then add salt, pepper, and the balsamic vinegar. Now, here is where the magic happens. 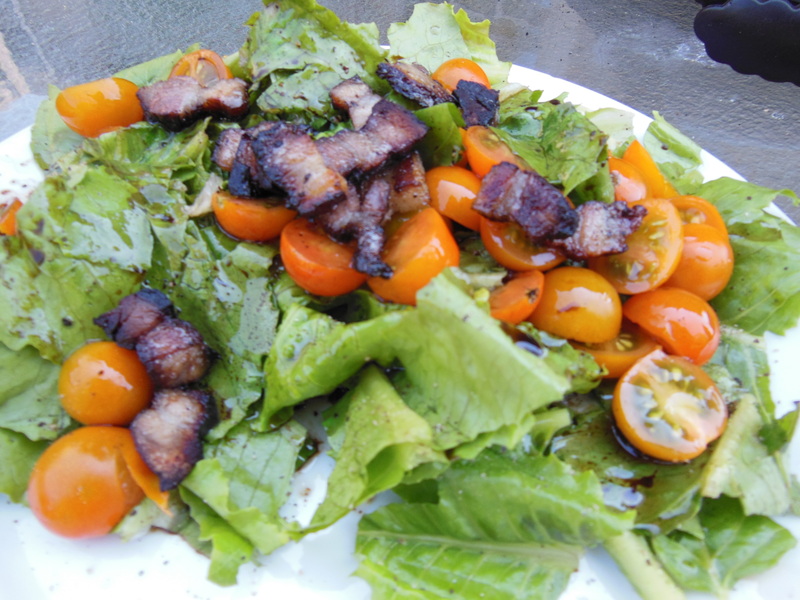 Instead of using olive oil to dress the salad, I scooped a few spoonfuls of hot bacon grease out of the pan and drizzled that all over everything and created a yummy warm bacon vinaigrette. Madness? Perhaps. I would like to pretend that my little fishes were for feeding several people, but I ate them all myself. I have an insatiable appetite for awesome!